Create a slideshow from your pictures! We have perused the Internet and suggest you our top list of the best 15 free photo slideshow makers 2018 and examples of video. Slideshow-online is a web-based resource. It provides the easiest and fastest way to create a slideshow online. First, you just follow the link above. Then you push the button “Create a slideshow”, choose the reason for your slideshow, upload your photos and videos, write text for your future slideshow. Then, your media stuff is sent to be processed by professional designers. You can replace the background music by your own one or leave the suggested one. The result is sent by e-mail. Literally, you get a slideshow manually made in Adobe After Effects (which is the software used for the creation of special effects in movies). The quality of each ready-made slideshow is great. Graphics are stunning. No prepayment is required. The resource often updates its interface and principles of work according to the needs of users. It is online: you should not install it on your PC. It requires minimum of time and effort to create your slideshow. Professional designers process each slideshow manually. Each slideshow is packed into the best video graphics. Amazing special effects are used. The more slideshows you order via this resource, the more price reduction you get. You can order a slideshow for free. Social slideshows are always free. Sometimes you should wait up to 11 hours for your slideshow. There is no open information concerning supported formats. The price is not the cheapest one. Ensuring compliance: Windows 10, 8, 7 and XP or Mac OS. Price level: the first video you get for $39 and all the next for $23. Free option is also available. 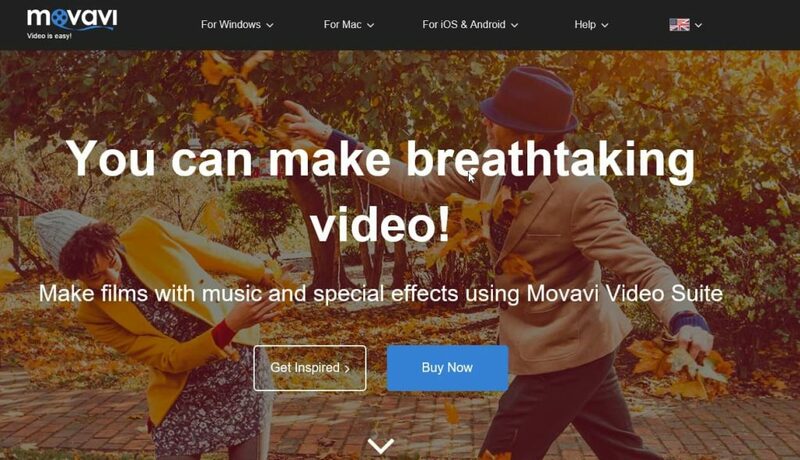 Movavi Slideshow Maker is a universal utility. It makes creating slideshows as easy as ABC. The number of uploaded photos and videos is not limited. You can add both individual shots and entire folders. Afterwards, you can either upload multiple audio files of your choice or select pre-installed sound effects. In a last step, you choose one of the included transition effects, which should be applied to the uploaded shots and videos, supply parameters of output directory and format, and that is all. In addition, you can put into operation basic customization like auto enhance, volume leveling, rotate etc. to the added stuff before making slideshows. You can watch and adjust all changes due to the playback buttons. The program supports great many formats, as BMP, GIF, PNG (for Images); 3GP, MP4, MKV (for Video); and AAC, FLAC, MP3 (for Sound). This program is easy to use. There are many audio/video/image formats supported. It lets you edit and customize your slideshow. It is both Mac and Windows friendly. There are random crashes from time to time. Its full-screen function is clumsy. Ready-made slideshows are overlaid with “pre-released” text. You should download it on your PC. Price level: $29.95 for the full version. 7-day trial is available. 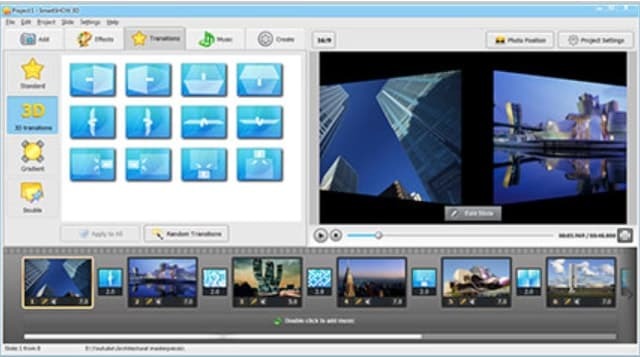 ProShow Gold provides all the main slideshow features required to make nice videos. It possesses 427 transition effects. First, you upload photos and videos selected for your future slideshow via the Folder List column on the left. Thus, your stuff is added to the Slide List/Timeline bar at the bottom. There is also an Import option to add your content directly from social networks such as Facebook and Twitter. Then, each photo/video uploaded can be extensively processed. It is possible to add everything from slide montages, to transition effects, to themes to them, background music, captions. You can watch all changes in the preview window on the right. Finally, you should push the Publish button on the toolbar to save your slideshow to discs or to the computer in a variety of presets/formats, or even upload it to services like YouTube. ProShow Gold supports great many formats: 3GP, MP4, WMV, AVI, Flash Video. The utility is extremely loaded with features. There are many transition effects, themes. It is possible to import content from social networks directly. It is easy to use for advanced users. The program can become too complicated for inexperienced users. There are problems with uploading of additional shots. Evaluation version banner is overlaid on made slideshows. It is not Mac compatible. You should download it on your computer. The utility is the most expensive one. Ensuring compliance: Windows 10, 8, 7 and XP. Price level: $69.95 for full version. 15- day trial is available. Wondershare DVD Slideshow Builder Deluxe is a simple and easy-to-use, but advanced enough program to quickly create videos from digital photos and images. 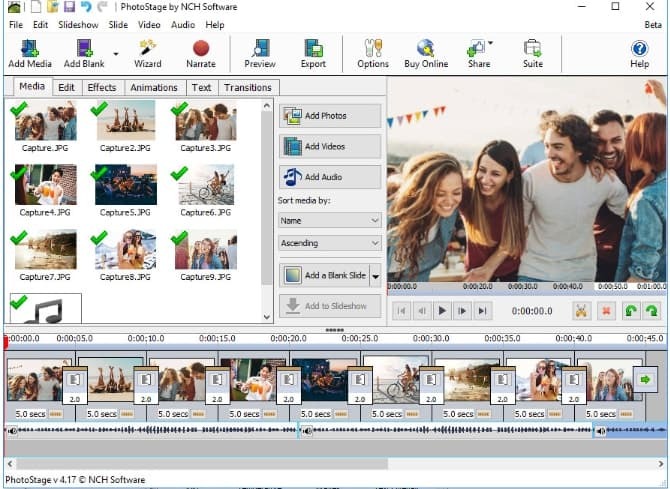 This utility provides the most convenient tools for creating at home of your own animated slideshows using professional transition and other effects. Using this program, you will be able to create your own unique slideshow with beautiful 2D and 3D transition effects by decorating it with different special effects and adding animated objects from the clip art library. You can also add an audio track or subtitle to it. The program supports the creation of sequence of images and video clips that you can download directly from your mobile device, camera, or DV-Cam. The program contains a large number of templates on various topics that can be edited to your liking. After you create a slideshow, you can record on a DVD for viewing on your TV or transfer it to a variety of devices, as well as upload it to YouTube or Facebook. This utility is easy to apply for feature-loaded application. There is a rich collection of photo, video and audio formats. You can apply basic editing tasks to your photo/video stuff before applying final creation. The program does not allow sharing ready-made video slideshows via emails or directly to interactive CDs. You should download this program on your PC. Its price is rather high. Ensuring compliance: Windows 10, 8, 7, Vista, XP. Price level: From $39,95. You can try it for free. Wondershare Filmora is a perfect adjustable video editor and photo/video slideshow creator for beginners as well as professionals. It has a feature rich platform that makes slideshow processing task much easier. The utility possesses over 300 effects and 20+ copyright music. Therefore, your slideshow goes up to the next level. The program supports various current file formats. Thus, your resulting slideshow can be directly shared on popular social media platforms (YouTube, Facebook, Vimeo). The processing of your media stuff is much effective thanks to the rich collection of features. There are many filters, motion elements and overlays. It supports all widespread file formats. It is easy to upload your slideshows on social media platforms. The collection of templates is poor. The program has a limited number of 3D effects. Its free version leaves watermarks on your slideshows. Ensuring compliance: Windows 10, 8, 7, Vista, XP or Mac OS. Price level: the price of 1 year/1PC subscription starts from $39,99. You can also buy one month ($9,99) or one quarter ($24,99) subscription. You can try it for free. PhotoStage Slideshow has a decent library of features and effects. Most of the baseline tools for editing and creating of slideshows are available through this utility. You can upload video clips, clip art, music and other sound recordings. Moreover, the program has a built-in audio file mixer, which helps to perfect your music and recordings. However, there are no backgrounds, themes or animations. The utility has one of the best input and output compatibility. Using it, you make interactive CDs (CD-i), DVDs or Blu-ray discs. The program is also compatible with MPEG4, MPEG2, AVI, QuickTime, HD and Windows Media files. The program gives you a possibility to save your photo slideshows so that they are compatible with various mobile devices. After you have processed your slideshows, you can share your videos with family and friends via Facebook or YouTube. The utility provides simple assistance through email. However, if you need a serious help, you have to acquire a technical support plan. The utility is easy in use. It has a free version, which does not expire. The program is compatible with all current file types. Extra money should be paid for complicated technical assistance. There are no backgrounds or themes. Ensuring compliance: Windows 10, 8 or 8.1, 7, Vista, XP or Mac OS X 10.5 or above. Price level: From $39,95. A free version is available for non-commercial use only; it does not expire, includes most of the normal version`s features. 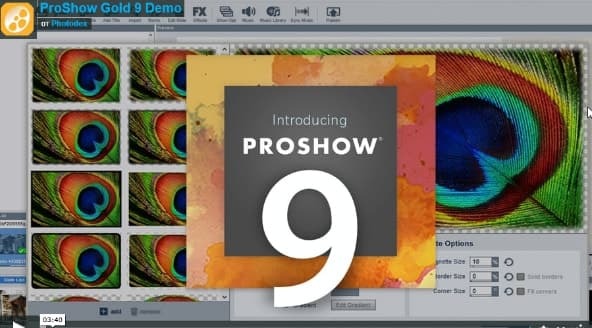 SmartSHOW 3D Deluxe has a number of useful tools to add special effects to your slideshows. You can choose from 120 transitions; add animation overlays over your photos, such as falling leaves, snow or hearts. Users of this utility can even change the sizes of overlaying shapes as well as the locations and speed, at which they appear. However, it is not possible to add video clips to your slideshows or edit your shots. The program has more than 60 photo templates and 86 backgrounds and themes; therefore, you can find a perfect design for your photos. You can change tunes in your video many times. 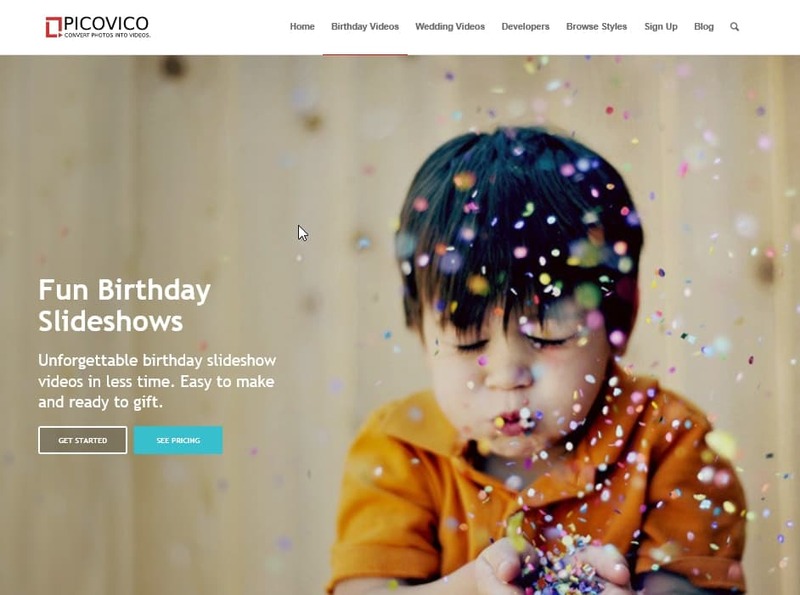 You can create both complicated slideshows with many details and quick simple projects. There is no undo option. This fact complicates your work in the program. Your slideshows can be saved in several different file types (AVI, MP4, 3GP, MKV, WMV, etc.). You can also create a special slideshow for your devices (a tablet or a smartphone) or an HD-formatted DVD. Assistance is provided via email. It is possible to use many tunes for one and the same slideshow. There are great many special effects options. The quality of slideshows is great. It is not possible to insert videos into your slideshows. Your shots are not edited. You should download the program on your PC. The program is rather expensive. Ensuring compliance: Windows 10, 8 or 8.1, 7, Vista, XP or Mac OS. Price level: $59,50. There is no free version. Freemake Video Converter is a perfect utility for creating slideshows fast by arranging best collection of videos and photos in the most stunning manner. If you should add great many shots into your slideshow, then Freemake is the best option for you. The utility supports the majority of current formats: AVI, MP4, MKV, WMV, MPG, 3GP, SWF, FLV, TOD, MOV, RM, QT, TS, MTS, MP3, AAC, WMA, WAV, OGG, FLAC, M4A, AMR, JPG, BMP, PNG, GIF, TIF и many others. Freemake Video Converter can convert online video from more than 30 video sites. You should just add a link to the page with a video from VK, YouTube, Facebook, MTV, ect., and the program will upload it and convert into the required format, including the format for mobile devices. You can also cut and join shots and frames for your slideshows. Sign up is not required. It supports many current formats. You can upload your slideshow directly to YouTube. Your videos can be directly transferred to DVDs. There are no ready-made templates here. Only one effect is available. You cannot add text into slides. The quality of slideshows is far from great. Price level: it is free. 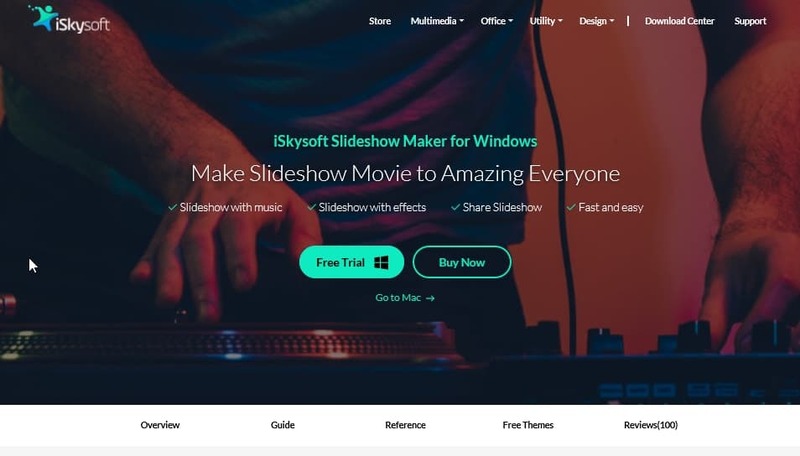 iSkysoft Slideshow Maker offers two unique modes of use: Standard and Advanced. The Standard mode lets users create slideshows with no effort using current styles and templates. The Advanced mode lets you add motion effects, transitions, clip-arts and use more functions. First, you upload photos and videos for your slideshow. Then, you can add transitions, intro credits, pre-audio and other slideshow elements, and edit them on a per-element basics. At last, the utility lets you save your slideshow in any of the supported formats (from MP4 to AVI, and from MOV to MKV), record it directly to optical discs or share it on YouTube. There are two modes of use for novice and advanced users. The utility is easy to understand. There is a preview screen. The interface is rather unrefined. The speed of slideshow creation is too slow. There are watermark on ready-made slideshows. It should be installed on your PC. Ensuring compliance: Windows 10, 8.1, 8, 7 and XP; Mac OS X 10.6 and above. Price level: paid versions start from $59.95 (for Windows), and $49.95 (for Mac). 30-day trial is available. 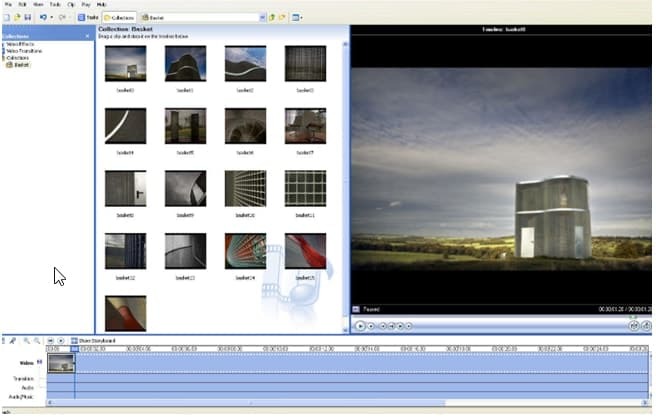 Windows Movie Maker is a longest- standing video editing program from Microsoft. It offers enough features to create decent slideshows. It is very simple in use. To start, you upload your photos and videos, music, or even video directly recorded from your webcam. You can use the Animation and Visual Effects tabs to process the uploaded stuff, either selectively, or simultaneously. You can add fade in/out music effects to transitions. All changes can be previewed in a special window. Your created slideshow can be saved in any of the built-in presets. It is possible to create custom presets, share the created slideshow to online services (YouTube, Flickr, or Facebook). However, the output supports only WMV format. The program is rather simple. There are enough transitions and visual effects included. It is possible to share your slideshows directly to popular social networks. The number of features is limited. The utility was not updated for a long time. The limited number of supported output formats. Its versions may contain software viruses and hidden payments. Ensuring compliance: Windows 10, 8.1, 8 and 7. Price level: it is free. Hidden payments are possible. Picovico is a web-based application. It is easy in use. To get started, a free account is required. Therefore, you log in, push the Create Video button on the top right corner, and you are guided through several steps to create a slideshow. You can upload photos; add textual slides to create your slideshow. Moreover, it is possible to select a background music from the available built-in collection or upload your own. At last, you indicate parameters like video quality (only 360p in free option), privacy etc., and the utility processes the rest, making a nice slideshow in a brace of shakes. The ready-made slideshow can be watched in any browser, downloaded (in mp4 format) and shared via the social sharing icons. You should not get fancy: video creation is a simple process. The utility lets you set videos as public or private. You can share your videos in one click. The program sends you an e-mail notification, when your video is created. It is an online service. There is only one output format (MP4). Price level: there are subscriptions for a day ($5), a week ($10-15), a month ($28) and a year ($200). You can use a restricted free account. Slidely is a very popular free social media platform. It allows easy sharing of content over network. Moreover, this utility provides ability to follow curated collections or favorite makers. As a user, you can either import videos or pictures from your personal computer or access media directly from social media platforms if it is required. The utility allows you to do both stunning videos and simple slideshows. It has many feature shared in community. You can import media files from different social media platforms. You can mark slideshows as private or public. The utility supplies various customizable options for image transition speeds. The utility is not much user friendly. You cannot download processed videos. Magisto is an online service. It offers a rich set of features. With its help, you can turn your photos and videos into a nice slideshow. First, you should create a free account to get started. Then, you either upload photos and videos from your PC or directly import from Google Drive. Afterwards, you can choose from a design from the built-in collection. Then, you add the background music (or select from the ones available), type a name, and the utility takes it from there. There is a sub-section “My Movies”, where you can find all your slideshows. The utility also lets you create collections of videos, called Albums, which you can edit together with users specified by you. Created slideshows can be shared both on major social networks and via unique URL. You can add all types of videos (MOV, 3G2, ASF, ect.) 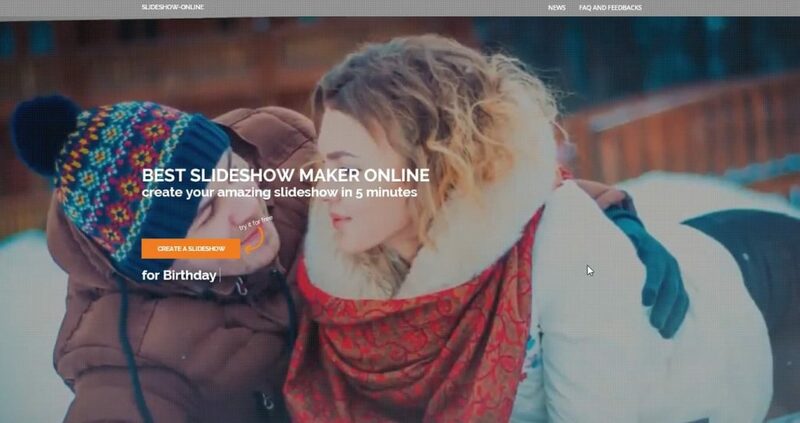 to create slideshows. There are free account limitations. Magisto has a PC application. The graphical user interface is perfect. There is a nice collection of designs. The process of video creation is fast. You can easily share your slideshows. Free account restricts clips of maximum 15 minutes in length. Videos more than 2 months old are archived and cannot be downloaded. Ensuring compliance: Web-based, Windows (Desktop); iOS, Android, Amazon App Store (Mobile). Price level: paid options start from $2.49 per month. Animoto is an online utility. Only web browser is required to start creating. There are many preset designs divided into categories like Party, Wedding etc.. You choose a design, upload your pictures/videos or directly import them from networks like Facebook and Instagram. Then, you select the background music and textual captions, if you need. It is possible to watch a real-time low-resolution sample of your slideshow anytime, while you are adding shots and videos. At last, you push the Produce button. The created slideshow can be shared on social networks (Facebook, Twitter, etc.). There are great many designs to choose from. You can import pictures from a host of online services. Free account restricts video quality to 360p. Free account disables video download. Animoto logo is added to the end of created slideshows. There is only one output video format (MP4). Ensuring compliance: Web-based (Desktop); iOS, Android (Mobile). Price level: paid options are from $8 per month. Professional- free trial is available for 14 days. 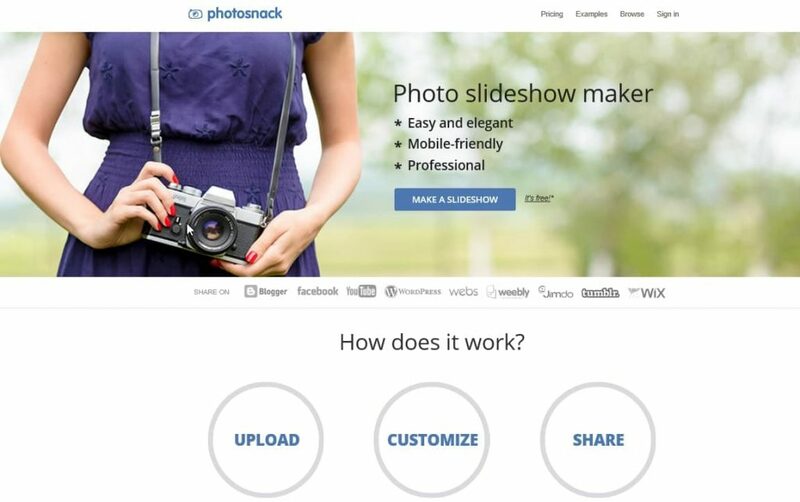 Photosnack is an online service. It offers a wide set of features to its user. You should first sign in. There are all interesting slide development tools. Users can easily add videos or music to Photosnack platform. Ready-made slideshows can be afterwards shared with social media platforms. It is simple in use. There is a micropayment feature for infrequent users. There are few templates, which are able to support auto play feature. The number of templates is limited. There are watermarks on slideshows. Price level: The cheapest subscription cost $8. There is a free subscription. Please note, that all mentioned programs and resources are in constant updating. Therefore, some aspects of their functioning can change (price, subscription, supported formats, etc. ), which can influence their place in future top lists. We hope that our top list of the best 15 free photo slideshow makers 2018 and examples of video are useful for you. We tried to take a look more closely at different aspects of slideshow making in programs and services mentioned above and based our conclusion on each program or service on impartial analysis of information about them from several sources. Of course, you have the right to express your own opinion, but we are sure that online resources are the best ones for slideshow creation. However, we are sure that you will make right choice according to your needs, goals and potentialities. Moreover, our top list is a good assistance in making choice of your best slideshow maker. We wish you further creative success in slideshow making! • its price should be affordable. We have spent a great deal of time in order to do the review of the Best Free Slideshow Makers 2018. We have gathered information about online services and software, shareware and free ones with examples and detailed description. You can study our overview and watch examples in our table in the bottom of this article. To do this, just click “View” in the table and watch an example of video in each case. Enjoy!